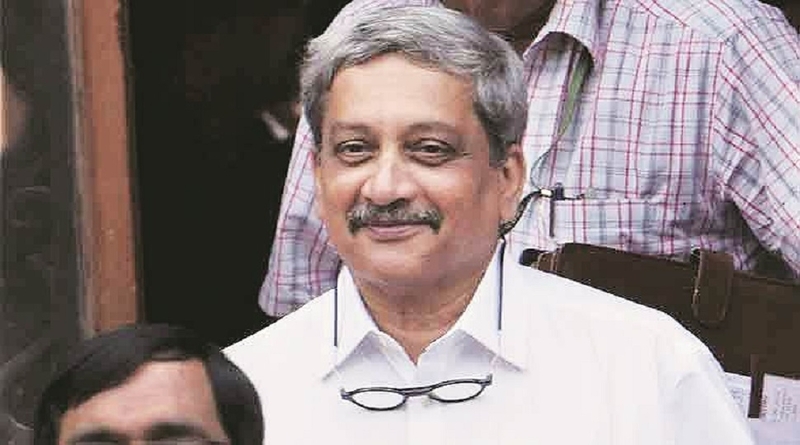 MANOHAR Parrikar, who rose from a Pracharak of the Rashtriya Swayamsevak Sangh (RSS) to become the country’s Defence Minister and also Chief Minister of Goa, enjoyed a man-next-door image in the politically-volatile coastal State. Parrikar, 63, served the State four times as Chief Minister and had a three-year-long stint as Defence Minister in the Narendra Modi-led Cabinet. He was a leader who enjoyed acceptance from all sections of the BJP and beyond. He played a key role in making the BJP a force to reckon with in Goa, which remained for long a Congress bastion, with regional outfits having pockets of influence. Born on December 13, 1955 into a middle class family, his political career began as an RSS pracharak and he continued working for the Sangh even after graduating from IIT-Bombay as a metallurgical engineer. Parrikar never shied away from displaying his affiliation to the Sangh and was even photographed participating in the annual ‘Sanchalan’ organised by the RSS in the uniform and wielding lathi. He even credited the surgical strikes conducted by Indian Army in Pakistan-occupied Kashmir during his tenure as Defence Minister to the teachings of the RSS. His plunge into BJP politics is considered as an attempt by the party to curb the growth of the State’s oldest regional political party Maharashtrawadi Gomantak Party (MGP). Parrikar entered electoral politics in 1994 when he won on a BJP ticket from Panaji constituency. He was leader of the Opposition from June to November 1999 and was known for his speeches against the then Congress-led Government. He became Chief Minister of Goa for the first time on October 24, 2000, but his tenure lasted only until February 27, 2002. On June 5, 2002, he was re-elected and served another term as Chief Minister. On January 29, 2005, his Government was reduced to a minority in the Assembly after four BJP MLAs resigned from the House. Pratapsinh Rane of the Congress subsequently replaced Parrikar as Chief Minister. In 2007, the Parrikar-led BJP was defeated by the Congress led by Digambar Kamat. But the year 2012 saw Parrikar riding a popularity wave in the State when he took his party to the historic number of 21 out of 40 seats in the Assembly. He went on to become the Chief Minister again. BJP continued its victory mark in the year 2014 when the party won both the Lok Sabha seats. After the Modi-led Cabinet was sworn at the Centre, Parrikar was offered a Ministerial berth in November 2014. He remained in the union Cabinet till 2017 when his party failed to garner a majority in the Goa legislative Assembly polls. He returned to the State in March 2017 when he managed to woo alliance partners such as Goa Forward Party and MGP to support him to form the Government. His health started deteriorating in February 2018 and he was first admitted at Mumbai’s Lilavati Hospital for pancreatic ailment. He was flown to the US in the first week of March last year where he remained admitted at hospital till June. Parrikar attended the monsoon session of Assembly from July 19 to August 3, and left for the USA on August 10 for the second round of checkup.